Cuba was only the latest example where Latin American governments sought to limit the unilateral and arbitrary use of U.S. economic and military power. U.S. policymakers often bristle when their policies face opposition from Latin America. This is unfortunate. When the United States takes its neighbors’ concerns into consideration, the resulting policies are often more beneficial for everyone. Latin American opposition to the embargo against Cuba responded to more than the symbolic importance of the Cuban Revolution. Latin America’s elected leaders are not trying to protect the Castros. Critics in the United States fail to understand that U.S. policies impinged on Latin American interests and sovereignty. Though multilateral sanctions against Cuba collapsed in the 1970s, the United States still punished the banks, businesses, and ships of other countries through extraterritorial sanctions. The rest of the Americas pushed back with increased coordination and unity. Diplomacy and inter-American institutions played a central role. A century ago, Argentina and Mexico led Latin America in the use of coordinated diplomacy, international institutions, and law to delegitimize and constrain U.S. military interventions in the region. Over three decades, Latin American pressure, among other factors, led the United States to gradually renounce the self-proclaimed right to intervene at will in the hemisphere. 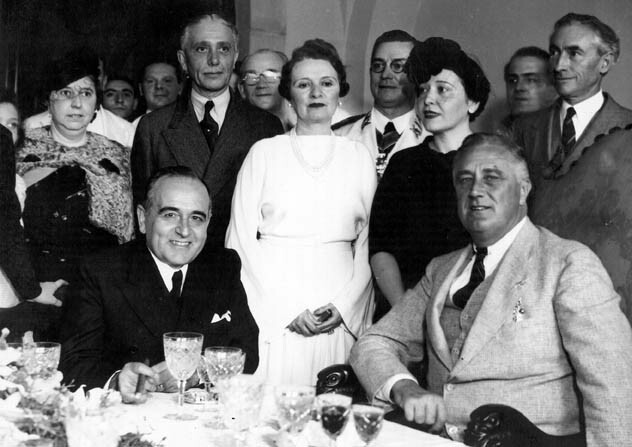 The achievement was enshrined in Franklin Roosevelt’s Good Neighbor Policy, which abjured intervention and interference in Latin American affairs. The new approach paid big dividends. When the United States entered World War II, it did so with near-unanimous Latin American backing, including military contributions, vast primary resources, territory for bases, and consistent political support. U.S.-Cuban rapprochement came in the context of the Summit of the Americas, which Latin American leaders had threatened to boycott if Cuba was once again excluded. Created at the initiative of the Clinton administration in the early 1990s, the Summit later became a forum where Latin American leaders advanced their own agendas and pressured for changes in U.S. policies. This echoes previous cases. In the early 20th century, the United States led the creation of Pan-American conferences and institutions to advance U.S. business interests, only to see Latin Americans use them to coordinate their denunciations of U.S. interventions. As its diplomatic isolation grew, the United States gradually acceded to Latin American demands, leading to one of the warmest eras in U.S.-Latin American relations. Conversely, when the United States has rebuked the calls of its allies, in the Western Hemisphere and elsewhere, it has been costly. Scholars including Robert Pape discussed “soft balancing” efforts by France, Germany, and Russia to block the 2003 U.S. invasion of Iraq; ignoring those concerns cost blood, treasure, and prestige. Mexico wisely opposed the war, too. In Latin America during the 1980s, the United States shunned the joint efforts of Mexico and the “Contadora Group” to curtail foreign intervention in Central America’s civil conflicts. In the name of anti-communism, the United States supported anti-democratic regimes that killed tens of thousands of their own civilians in El Salvador and Guatemala, while fueling the Contra war against an elected government in Nicaragua. Those wars could have ended earlier, creating less fuel for the brutal gang violence that followed, had the United States embraced the Contadora process rather than reacting to it with hostility. 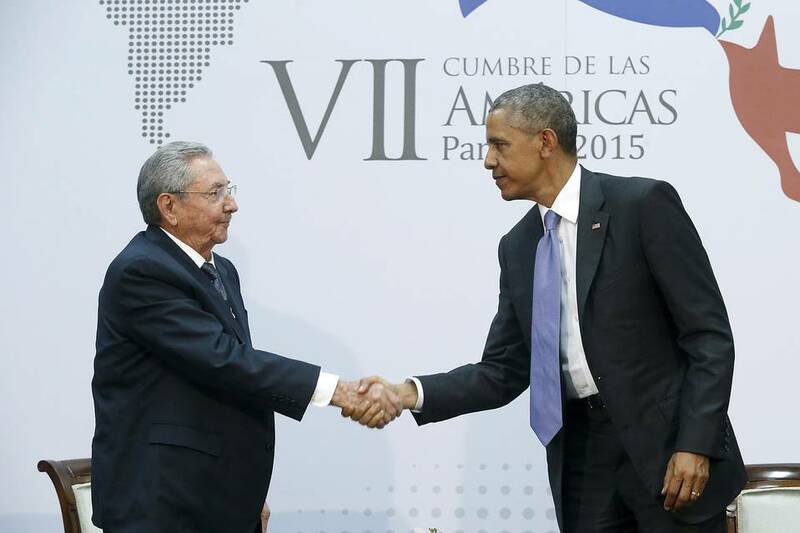 Opponents of rapprochement with Cuba have derided President Obama’s policy as rewarding dictatorship. More broadly, when the United States listens to opposition, critics defame diplomacy as “appeasement.” The argument does not hold. Appeasement would sacrifice U.S. national interests in favor of those of other countries. In this case, the United States is advancing its own interests—gaining direct and indirect benefits while reducing the costs of a failed policy. U.S. businesses and travelers are eager to engage Cuba on the same terms as the rest of the world. Indirectly, the new policy toward Cuba made it easier for Brazilian President Dilma Roussef to improve ties with Washington—solidifying a crucial relationship. Competing with China for influence across the region will be easier now that the most unpopular U.S. policy in Latin America is being reversed. When the United States carefully considers Latin American opposition and curtails its unilateral impulses, it is the greatest beneficiary. This was true when Franklin Roosevelt ended occupations in the Caribbean, and it is true today. Tom Long is Visiting Professor in International Studies at the Centro de Investigación y Docencia Económias (Mexico City) and author of Latin America Confronts the United States: Asymmetry and Influence (Cambridge University Press, forthcoming 2015). Max Paul Friedman is Professor of History at American University and author of Rethinking Anti-Americanism: The History of an Exceptional Concept in American Foreign Relations (Cambridge University Press, 2012). Their article “Soft Balancing in the Americas: Latin American Opposition to U.S. Intervention, 1898-1936” is out this summer in International Security.